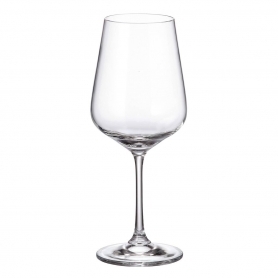 Bohemian, Bourgogne glass Gastro Titanium (20.3 oz; 600 ml). Available in clear glass or with handcrafted engraving (203 or E5 design). Minimum order: 6 pieces. Bohemian, wine glass Ultima Titanium (15.2 oz; 450 ml). Available in clear glass or with handcrafted engraving (203 or E5 design). Minimum order: 6 pieces. 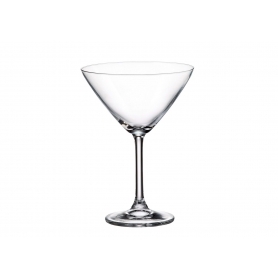 Bohemian, Martini glass Gastro Titanium (9.5 oz; 280 ml). Minimum order: 6 pieces. Bohemian, red wine glass Gastro Titanium (16.2 oz; 480 ml). Available in clear glass or with handcrafted engraving (203 or E5 design). Minimum order: 6 pieces. 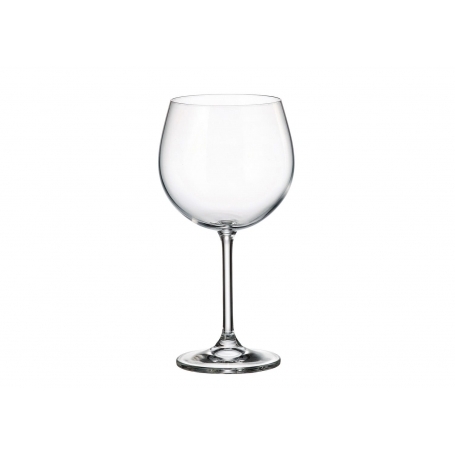 Bohemian, Bordeaux glass Gastro Titanium (20 oz; 590 ml). 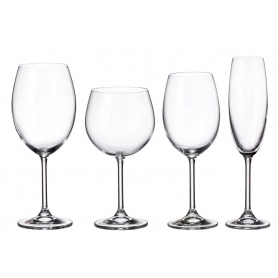 Available in clear glass or with handcrafted engraving (203 or E5 design). Minimum order: 6 pieces. 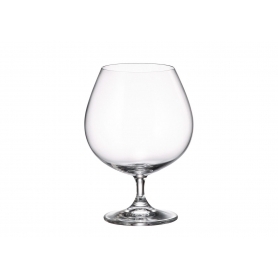 Bohemian, cognac glass Gastro Titanium (23.3 oz; 690 ml). Available in clear glass or with handcrafted engraving (203 or E5 design). Minimum order: 6 pieces. Bohemian, Gin-tonic glass Rebecca (27.7 oz; 820 ml). 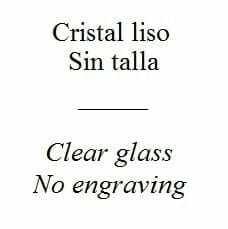 Available in clear glass or with handcrafted engraving (203 design). Minimum order: 6 pieces. 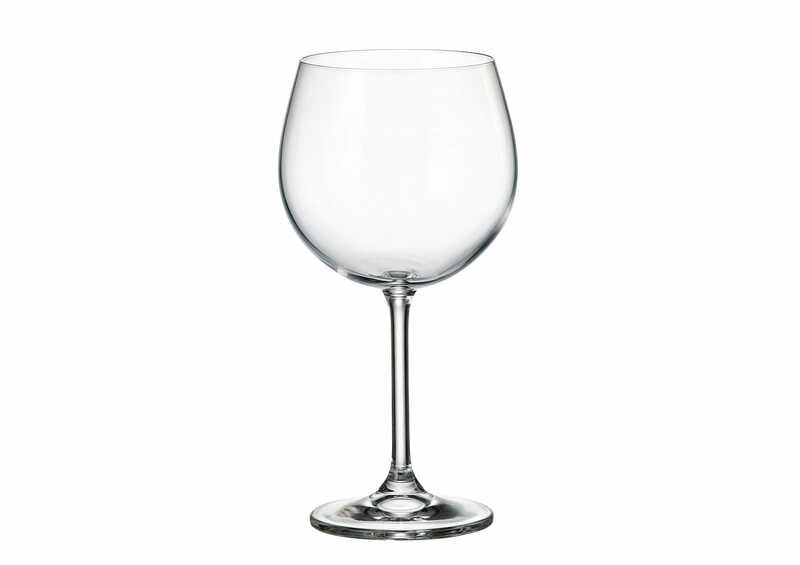 Bohemian, Gin-tonic glass (33.5 oz; 990 ml). 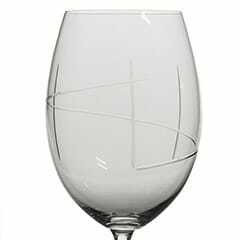 Available in clear glass or with handcrafted engraving (E5 design). Minimum order: 6 pieces. 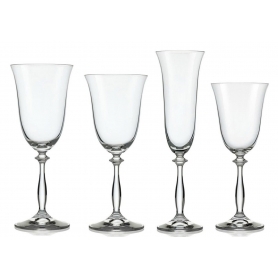 48-piece, Bohemian glass wine ensemble, Elisabeth collection, consisting of twelve champagne flutes (6.4 oz; 190 ml), twelve water goblets (15.2 oz; 450 ml), twelve white wine glasses (11.8 oz; 350 ml) and twelve red wine glasses (8.4 oz; 250 ml). Available in clear glass or decorated with handcrafted engraving (203).